Terence Flanagan is looking to get back into politics. A FORMER FINE Gael TD who left the party because of his views on abortion is understood to have been granted permission to rejoin. 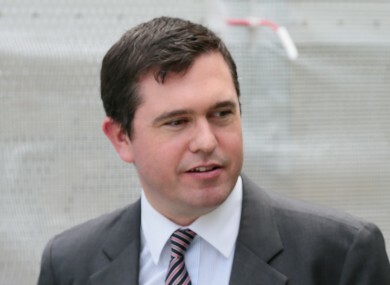 Terence Flanagan effectively resigned from the party when he voted against the government in a 2013 Dáil vote on the Protection of Life during Pregnancy Bill. He was one of four Fine Gael TDs who voted against the government – which supported the bill to allow abortion in very limited circumstances – on the issue, which meant they were deemed to have resigned from the parliamentary party. At the time, Flanagan said he had concerns over the suicide provision in the bill. This provision allows for a termination if there is a real and substantial risk of loss of the woman’s life by way of suicide, and three medical practitioners agree that this risk can only be averted by carrying out a termination. He subsequently joined Renua and ran for the party in last year’s general election but performed poorly and lost his seat in Dublin Bay North. Flanagan has now, however, been seen out canvassing for the party according to local Fine Gael candidate Stephanie Regan. “He was certainly out canvassing and he was canvassing for Fine Gael,” Regan said, before adding that she is unhappy about the manner of his return. They’re entitled to bring anyone back into the party but there’s a way of doing things. I wouldn’t be surprised that he would be returning because of changes on various things. The free vote and so forth. Fine Gael has committed to allowing its members a free vote on the divisive issue of abortion, an issue that also forced former junior minister Lucinda Creighton out of the party. The rules of Fine Gael state that anyone who was a member of Fine Gael, but who ran for election for another party, must first be granted permission by the Executive Council if they want to rejoin. It’s understood that Flanagan got permission from the Executive Council on Saturday to approach his local branch to rejoin. Regan says that local members were not made aware that this permission would be granted. “Somebody just said to me ‘is he back?’, and I said ‘I don’t know’. I mean I honestly did not know,” she told TheJournal.ie. Normally it would be raised at branch meetings and people would have some idea of what’s going on and that just didn’t happen. Nobody knew and I don’t believe anybody knew. The constituency chairperson didn’t know, the constituency executive didn’t know. While Flanagan has been given the green light by the executive committee, it’s understood that no commitment of any kind has been given to him about being selected as a candidate for the party in the next election. Regan agrees that she would be concerned about whether there is an expectation on his behalf that he would be selected as a candidate. “He’s not the kind of candidate that I will be voting for,” she says. Flanagan did not respond to attempts by TheJournal.ie to contact him for a comment on his position. His brother Declan, who is a Fine Gael councillor in the locality, also did not respond. Email “An ex-FG TD who left the party over abortion may be on his way back into the fold”. Feedback on “An ex-FG TD who left the party over abortion may be on his way back into the fold”.